Beautiful Cobalt Blue and clear swirl glass lamp. Measures approximately 10″ tall. Change the look with colored blubs. Sells for $145.00. For more information please call me at (713) 899-0933! Beautiful Blue Confetti glass lamp. Measures approximately 10″ tall. Change the look with colored blubs. Sells for $145.00. For more information please call me at (713) 899-0933! Beautiful white and clear swirl glass lamp. Measures approximately 10″ tall. Change the look with colored blubs. Sells for $145.00. For more information please call me at (713) 899-0933! 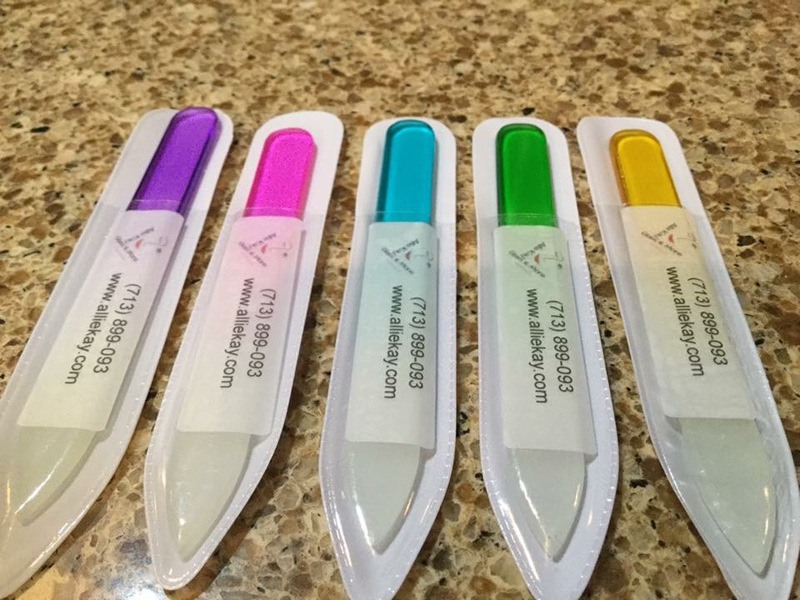 Glass Fingernail Files – Made from glass – will never dull. After use just wash under water! Comes in the five colors you see here. These sell for $3.00 each. Approximately 3-3/4″ long and comes with its own case. Makes great inexpensive gifts!! For more information please call (713) 899-0933!! 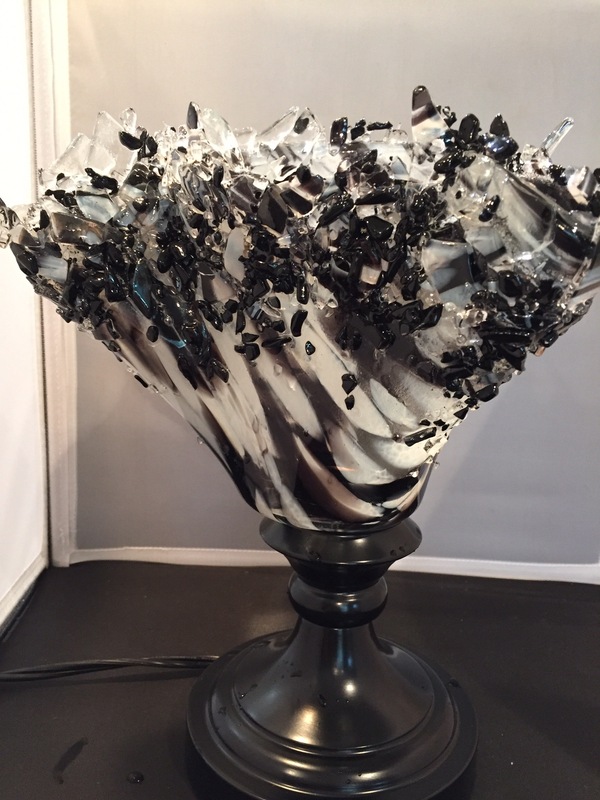 Beautiful Black and White Glass Lamp. Made with black and white swirl glass and melted into a beautiful piece of art. Measures approximately 10″ tall. Sells for $145. Great for your home or for a gift for that person who has everything. For more information please call me at (713) 899-0933. 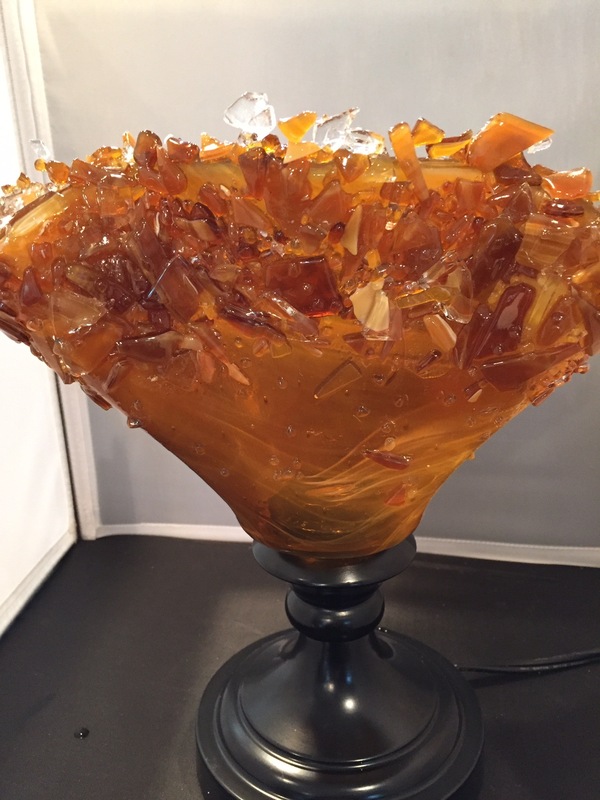 Beautiful Amber Glass Lamp. Made with amber and white swirl glass and melted into a beautiful piece of art. Measures approximately 10″ tall. Sells for $145. Great for your home or for a gift for that person who has everything. For more information please call me at (713) 899-0933.